In this digital era, is it still a necessity to print wedding albums? We all have been witnessing the changes which photography has gone through quite a few decades now along with the advent of digital age, from Polaroid to disposable, cameras to DSLRs, and back again. Not only this but also the photos we take these days from a party to picnic. Today, photographs predominantly exist digitally as files on a smartphone or on our hard drives and our smart phones with all those JPG and PNG files, needless to say our social media account feeds are always swamped with selfies, somewhere in this digital era, the role of photo prints has shifted, and is now limited to digital post-processing and editing. However, when it is about your wedding, there should be no second thought on printing the wedding photo album or photo book. 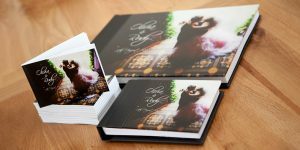 Not to mention, these wedding albums are not just any book, these are the memoirs of your big day, of your wedding. 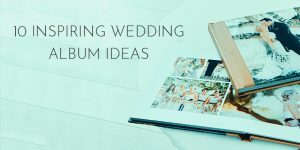 These wedding photo albums hold special place in our heart as our emotions are connected to these photograph of ours. Printed wedding album has charm of its own, nothing can ever compete that. Yes, it is very much true that this is the era of digitization, but no matter how much your heart says so to you, or how many times the wheels in your head turns, the fact remains same that the importance of hard copy of your wedding photographs is incomparable, the feel and touch of those photos can make you re-live those moments even after your wedding forever, nothing, no JPEG file can do the same for you. Not to forget, weddings are emotional affairs in our lives, not just any. Also, the touch and feel effect we get from the hard copies of our wedding photographs is just magnificent nothing can beat that feeling, those emotions. Before you let inflame the thought of having only JPGs of your wedding photographs, here are top reasons why you should print your photos, even though it is digital era. Your wedding itself is an event of one-of-a-kind, and your wedding printed photographs are more than temporary pixels on a screen. Printed wedding photographs are your memory you can hold forever for generations. And memories are surprisingly capricious. With time they fragment, fade or even mould themselves –our childhood tales from our parents and grandparents, our childhood photo albums. More often than not we don’t even have any remembrance of certain events, but seeing those printed pictures creates a makeshift memory in our minds. You may, for a moment think of having them permanently in your memories but that is not actually possible, a picture can tell you a lot about some special event. Printed wedding albums keeps the moment immortalized forever! 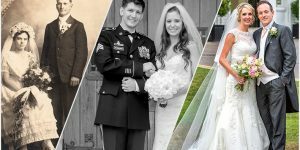 Your wedding photographs are timeless memories captured by your wedding photographer. Your moment, special moments are ceased in time so that you and your better half and your families can relive those moments years after your wedding. Wedding photo albums are the backbone of the memories created on the big day. If you have fine art prints of photos of your wedding, the memories of big day will forever remain in your minds to re live as and when you want to. You can have big prints of the best of your wedding photographs that you can hang it on your wall at home. Frame it for your desk at work. Take it out years from now and show off to your kids and their kids. Your printed photos can be witnessed by your grandchildren, also they will witness timeless connections. Yes, there are many on earth who don’t actually care about digital world, reason could be and it is not at all obligatory to be on social media for any reason. Well, you will also possibly have some people, some non-digital people in your life. They may not be able to see you online or your pictures online. Also, old people have their own taste and preferences and at this age to want to change them according to time is downright nasty. So, for that purpose your printed wedding album would do a lot to them. They will love to see those pictures of your as they have also had dream of your wedding in their own ways and these digital pictures will only confuse them. Having printed copies in their hands give them opportunity to have access to them as and when they want to flip and see you in that bridal attire which they always wanted to see you on. 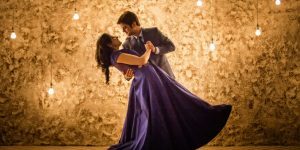 Old people get immense pleasure and happiness in flipping those wedding albums of their grandchildren, as for them you are their world and they have always wanted to see you in those beautiful attires, that give them a sense of satisfaction whenever they see all those photographs of yours. So, why not make Grandma’s day!! Well, that’s good that you have planned to upload all your wedding photographs online but chances are there would be many people you care about and many who you don’t care about but they care about you.. Meaning you might not want to see everyone to see your pictures, may be for any reason but still there are pros and cons to everything, so does social media have it. You would want to maintain the privacy of your photographs which is to some extent is possible but still the threat is always there, anyone can invade your account – perhaps you don’t want your neighbor to have access to all your Facebook photos. That is only possible with printed photos, which gives access to you and to people you care about the access to flip through your photo book. On your wedding thousands of pictures are clicked all in all, but when you go to print your digital photos, you don’t print all of them, because not every photo is meant to be printed for that matter, some might be blurred, some might not be the way you wanted or you thought. Only few out of thousands of photographs will be exceptionally beautiful and up to the mark, you have the prerogative to select pictures of your choice and have it compiled in a beautiful album in your way, the way you always wanted it to be. The way you would always admire forever in your life and call it ‘An Album of Your Wedding – Your Story’ which you can cherish forever for generations. Yes, that’s the benefit of having print photo albums of your wedding, you can curate a smarter, smaller collection of your choice. The best part about maintaining a printed photo collection in the era of digital photography is that you can really whittle down your photo selection to print the best of the best. We are in era of advancement, every now and then there is something new taking place in technology. Nothing remains same even for the year let alone the decade. Do you still bother to watch movie on your old VCR which your father bought it long back from Delhi? Or do you still listen to the music on the old Walkman which your mom got you for your sixteenth birthday, obviously not, as the technology is out-dated now. Even these days we don’t use floppy disks or even CDs to store files anymore. And with this rate of advancement and change in technology on daily basis who knows how long pen drives and hard-disks will be in use to store date. Notwithstanding the digital era, a print has survived amidst every change and advancement and has a much longer life for that matter. Stored files and their formats might get outdated, but you’re your printed wedding album will always act as a souvenir, a memoir of your love story. Getting your wedding photographs printed is safer than storing them in your hard disk. As, no one can guarantee that the computer of tomorrow will be able to read the photos you take and store today, unless you persistently modernize your digital archives. Cloud services can certainly help with this, but the way things changes and with that everything changes, companies that run them aren’t guaranteed to be around forever, either. 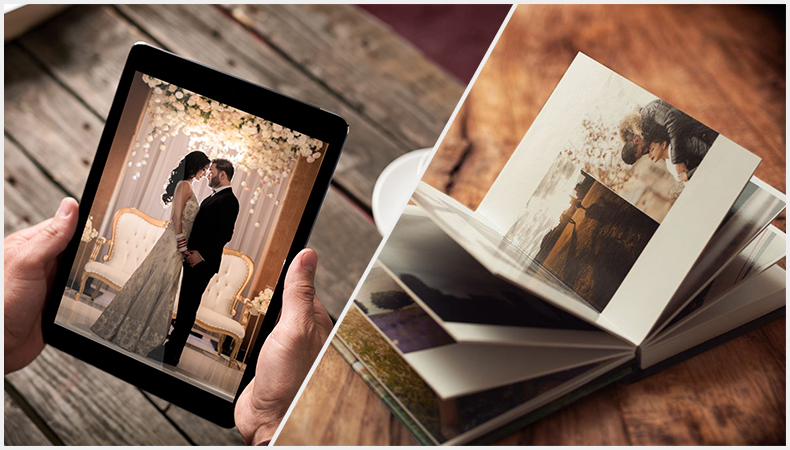 For your most important photos like your wedding photos a printed album can be the right choice for you. 7. JPGs are not lasting, JPGs deteriorate! JPG files often get deteriorated over time. As you open and close them, also duplicate the file, in the process the quality of your original image, which is saved as a jpg by your camera or smart phone, gets worse. So, it is always advisable to print your photos while they are at their prime. You can’t trust technology completely as technology can fail. It doesn’t matter even if it’s new, top-of-the-line, and well-reviewed, it can deflagrate or be damaged. You never know when your computer’s hard drive get corrupt, your paid cloud storage might go out of business, or if not this your storage device can be lost or theft, you might not have backups for those pictures. In such a case nothing can be better than having printed backups of your wedding pictures which will surely last longer than you think. Your wedding photographs tells about your wedding story. They are the telltale of your wedding and your love story with your better half. Your wedding albums often give you those immersive experience. Whenever you will flip through your wedding album, you will be taken to the moment, the elements, the colors, the technique, the message in your best of the best pictures will seize you and your mind in the time in that moment. You can only have the best of the experiences while holding the printed photographs of your wedding. A printed photograph contains every aspect, which one looks for in the memoir!! Printed photos are just not edited or filtered and styled but also can be sized to fit your needs. You have myriad of sizes to select from for your wedding album. Gone are the days when you had only few options to choose from. Now is the time when you can have your wedding photographs in motley sizes and can fill your wall with the best of the best pictures. You can have your wedding pictures in larger frames or if you want it in comparatively smaller one you can go with that too. Whether you want it printed for your wall, or for corner tables or for the photo frame which your friend gifted you on your wedding, any size print is possible today. Which you surely miss in the digital photos. As I said in the beginning that wedding is just not any event it is an emotional affair and printing for archival reasons is a logical thing to do, but the real reason one goes for printing is emotional. Seeing your wedding printed photographs can be mesmerizing. Holding a finished print in your hands cane be infinitely more satisfying than seeing your photo on a screen — especially on smaller screens, your smartphones. Printed wedding photographs are tangible, permanent memories of your wedding you can hold whenever and wherever you wish to. In the era of digital photography wedding photographer may not feel having printed pictures for various reasons. But the truth is it’s not just a couple should have the printed wedding photographs, but a wedding photographer should also have printed wedding photographs of its clients and there are many reasons for it, here we go…..
You may be a busy photographer of all time, you might hardly get time to have your work printed. Or you may just don’t feel need for it but printing out your work is immensely satisfying. The level of satisfaction you get from printing them is no less than a monument to the time and effort you put into creating those photographs. Having large fine-art print(s) of the wedding photos you’ve captured in front of your eyes bring in a sense of accomplishment and joy. Printed wedding photographs are the epitome of your hard work and artistry which you use to create them. The prints are a tangible product, physical evidence of your hard work, of your efforts you have put into creating it. The moment you see them hung on your client’s or on your wall, you get inspired immediately to create many more incredible images! Wedding photographers, they are huge in number. People when searching for wedding photographers online or offline, they get multiple options on just one click. Hence your printed wedding photographs are the proof of your knowledge, of your experience in the field. Moreover, it’s important to have the tangible copies of your work as it is always advisable to show your clients the end result. 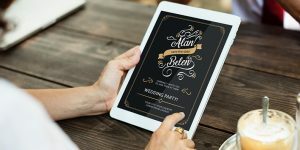 Printed work of yours will guarantee your reliability, it’s a proof how you are different from others, how have you visualized the whole event whole wedding. Printed pictures are good to show case as your client will only trust on what is in from of eyes, you can show all the aspects of the wedding photography and your artistry through the printed wedding pictures. As a wedding photographer, in this competitive world is not easy to get business so easily. When you have your printed wedding pictures in your hand you can always how your clients your work. It’s not you who will tell them, but your printed photographs will tell what difference you can bring in their wedding photographs. Through your photos you can ensure client the best of your work. Printed wedding photographs increases your product offerings. As everything has good side and bad side so do technology have bad side of its own and that is digital copies can get obsolete over time, can get deteriorated, digital copies have a way of getting lost amidst the multi-terabytes of data on your systems but a printed tangible photograph will always prove to be the masterpiece you have created by putting lots of efforts, will always keep you reminding of your artistry and the way you have given life to somebody’s love story. There is a lot you can do to make your work best, edit the picture, style your way, you can really do wonders to the work you have created and finally make your clients happy. The advancements in digital photography technology are no doubt an excellent advantage to the photographers. 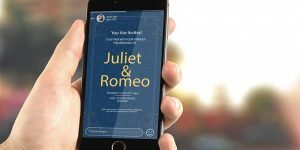 You can use technology to work on the pictures you have created and the final outcome the print will be mesmerizing for both you and your client. There is always a lot to a picture, lot of perspectives, chances are that you can miss few of them in a digitally produced copy but when you print out a photograph you have more clarity and a lot to work on it. Gone are those days when printing a photograph was insipid, it used to be a mundane task for many, many years in those traditional printing labs, but with the advancement in technology, a photographer has lot of options available now. Now with the advancement in technology printing photographs has become easier than ever and you have access to fine-art printing now. Multiple printing medium are available that makes the task easier and enchanting. Fine art prints use a dry pigment based process that utilizes may be more ink heads that are capable of printing at a staggering 2400 dpi – which makes the final product clearer and sharper. The advantage of having a printed fine-art pictures is an acid-free fine-art paper lasts for years without getting damaged. Not only this but also it enhances the quality of the image. It brings out richer colors and makes an image look alive and ore entrancing. In total, having printed wedding photographs is useful to both the photographer and the one being photographed. Photographs are the essence of your big day, whenever you hold them in your hand you feel enliven and joyful. Printed wedding albums are a forever thing you can cherish throughout your life. Reminding you of all those moments, the moment when your spouse held you by your waist for the first time, the moment when your father saw you first time in your wedding attire and his eyes got teary immediately, those were not just moments but emotions and printed wedding albums give you privilege to re live all those moments the moment you take your wedding album in your hands. For wedding photographers their work talks for them and talking become easy when the work is handy. Printed wedding photographs are tangible products, significant for the photographers to showcase their work to the world and let their clients know the level of knowledge and experience a wedding photographer holds to be called a professional one. Clicking picture can be easy with the advancement of technology but giving the best and the most artistic photographs is only the cup of tea of a professional artist. Wedding photographs are the monuments of all the efforts and hard work a photographer put in to create them.